Hospital or healthcare acquired infections are one of the indicators of quality of care. Legal nurse consultants who work on medical malpractice cases may be asked by attorneys to offer opinions on whether an infection was preventable or properly treated. Infection control can be a measure of the quality of health care. Hospital Acquired Infections: Whose Fault Are They? ● Do you want to sharpen your skills in understanding liability issues of hospital acquired infection cases? ● Are you a legal nurse consultant asked to evaluate an infection case for liability, causation and damages? ● Are you a clinician interested in understanding the medical and legal implications of these infections? 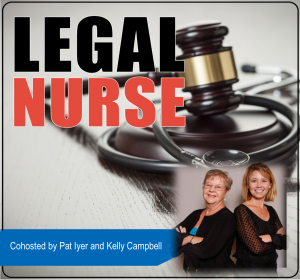 Pat Iyer MSN RN LNCC built a successful legal nurse consulting business. Attorneys asked her to screen medical malpractice cases for merit which involved infection diagnosis and control.